These helitankers will be coming Summer 2019! 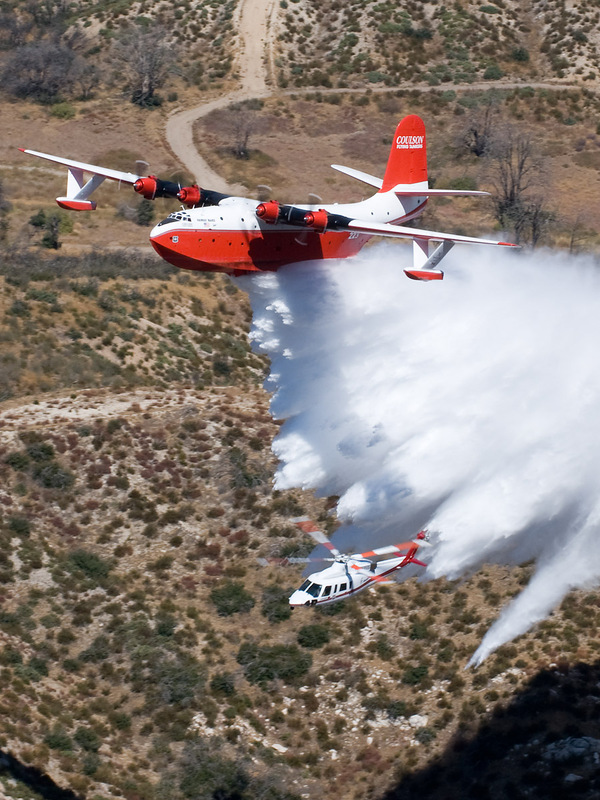 Operating in both aerial firefighting and heavylift, through a joint venture with Unical. The newest addition to our fleet are the 737 FireLiners. 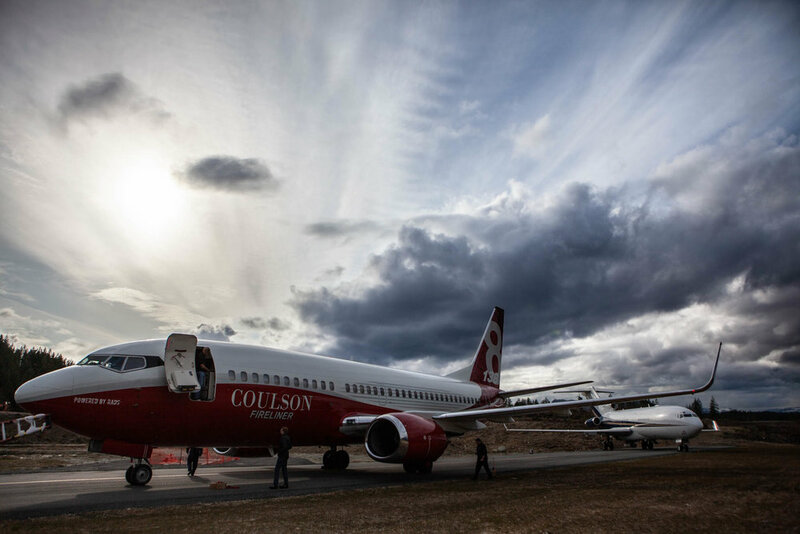 Coulson Aviation is the first in the world to modify Boeings 737 commercial fireliners. 43,000 man hours and 3 years in the making we have made history. The first of the 737's pictured here has completed test flights and certifications and will be in the field this fire season. The Lockheed C-130 Hercules is a four-engine turboprop military transport aircraft designed and built by Lockheed Martin. 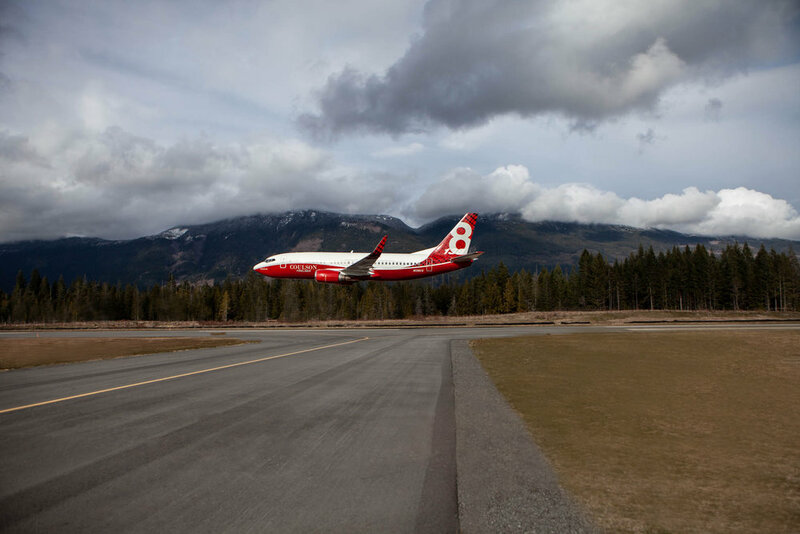 Its ability to use unprepared runways for takeoffs and landings make it very effective in aerial firefighting. 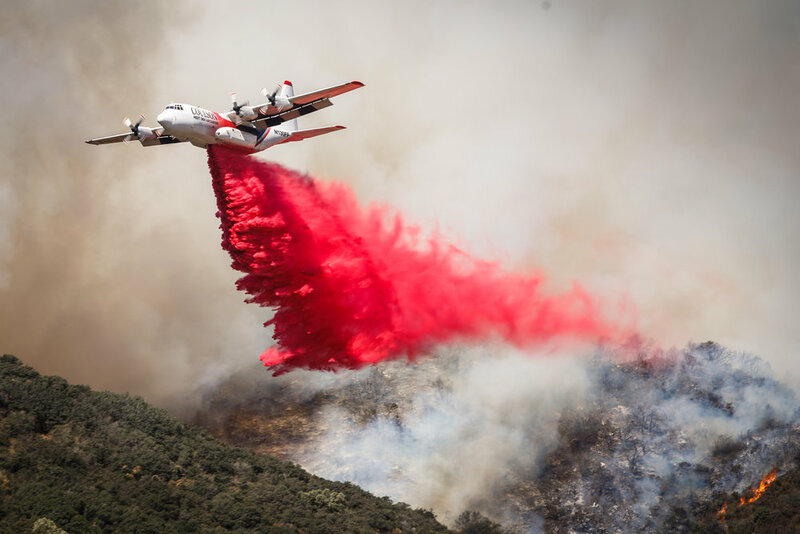 The C-130 has been our leading attacker in firefighting. The C-130H Hercules with a Coulson RADS-XXL 4,000 US Gallon roll-on roll-off tanking system, is quite a force to be reckoned with. More firefighters transported, more gallons delivered- faster and safer. Coulson set the standards for moving Rap Attack Crews when we started the program with theUSFS in 2001. Since then we are the only Type 1 operator in the world to move crews and have approval to do so in the United States, Canada, and Australia. Coulson can move up to 18 FireFighters at a time. Coulson built and certified the first 1,000 USG / 4,000 Litre S61 Belly Tank. This is also the first tank with a foam and gel injection system and can be installed or removed in less than 30 minutes. Over the past 5 years, Coulson has been developing a real time accountability and measurement system. It transmits data through the Iridium Network and tracks exact locations and quantities for every load delivered. 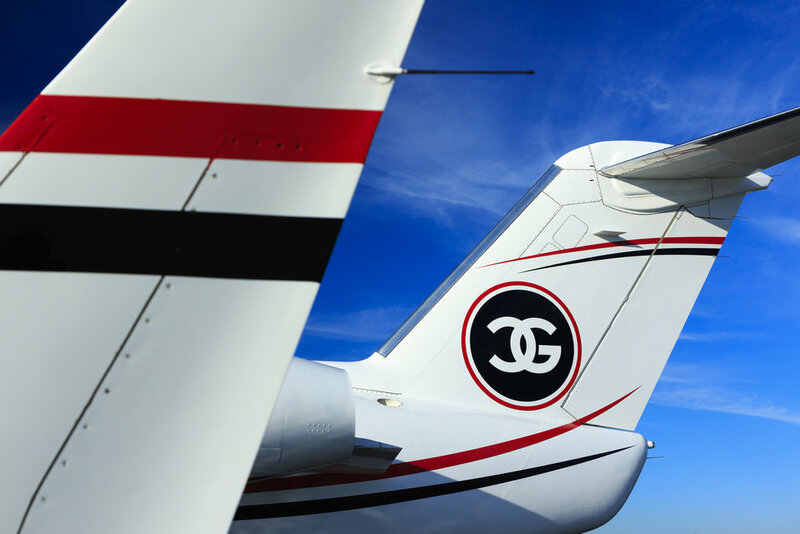 At any time, the contracting agency can see aircraft progress and cost per gallon reports. Coulson is the first company in the world to NVG Certify a S61 and develop best practices and processes to safely fight fire at night. 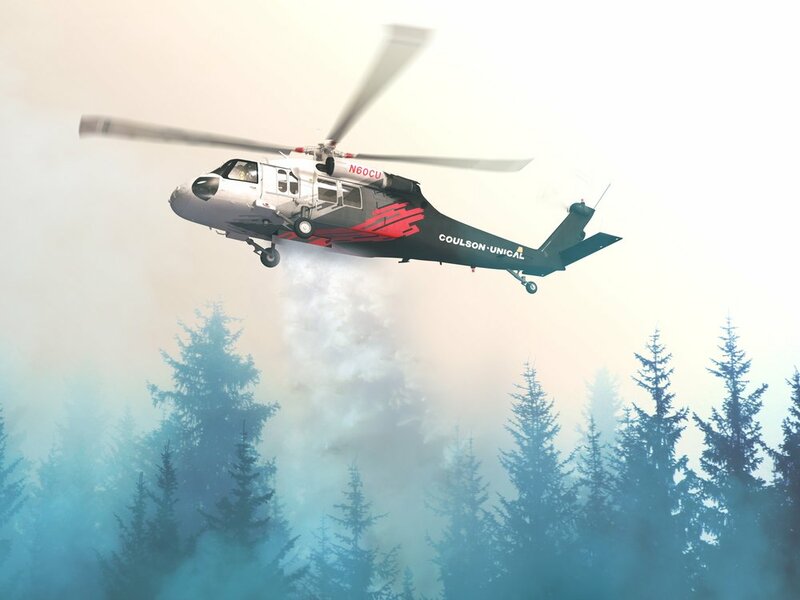 During the past 3 years with many scientific tests, we have proven that when coupled to the FireWatch76 the Coulson S61’s are able to fight fire as safely and efficiently during the night as they can in the day. We have two Bombardier Challenger 600 series business jets, that are used for both luxury transport for our directors and clients as well as medevac support for our crews and fleet.